Don’t get me wrong, I’m not selecting bad reviews only. If you look at the review list (both 5 star reviews and 1 star reviews) last one month the plugin got six to seven 1 star reviews compare to one to two 5 star reviews which is alarming. On top of that, the plugin hasn’t been updated for more than 2 years. On top of that the plugin doesn’t support PHP 7 as stated by the theme author in – GitHub Issue, WordPress support thread. And this is where this blog post come in. Today we are going to find alternative to P3 plugin (Plugin Performance Profiler) that has pretty much similar functionalities. Alternative to p3 plugin should have these functionalities or at least some of it. 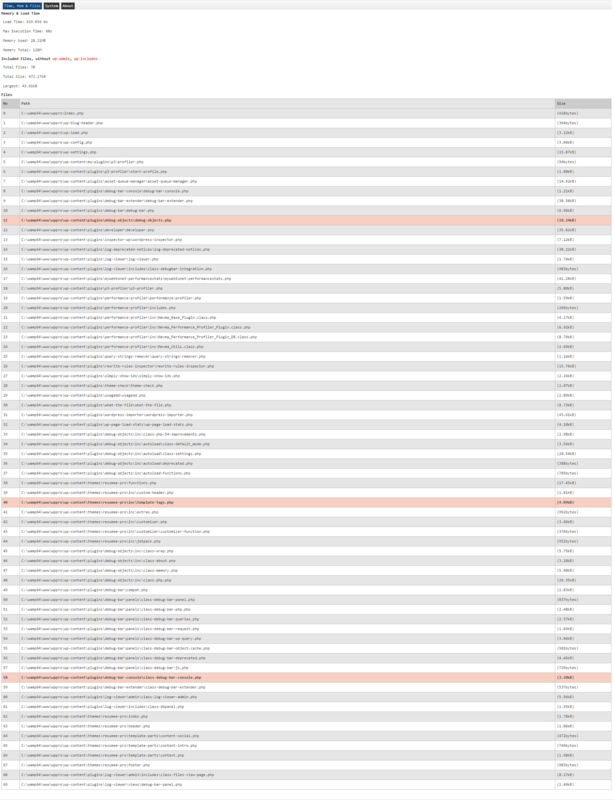 Number of queries the page is executing, time to load the page and total memory being used to render the page. The number of queries will give you an idea of whether you are having MySQL problems. The number should ideally be under 50. You will start to see problems if the number is above 75. If it is above 100, you may have an issue with your theme and/or plugins. Plugins Garbage Collector scans your WordPress database and shows the tables beyond of core WordPress installation. Some WordPress plugins create and use its own database tables. Those tables are left in your database after plugin deactivation and deletion often. If your blog is more than 1 day old you have some plugins garbage in your WordPress database probably. With the help of this plugin you can check your database and discover if it is clean or not. 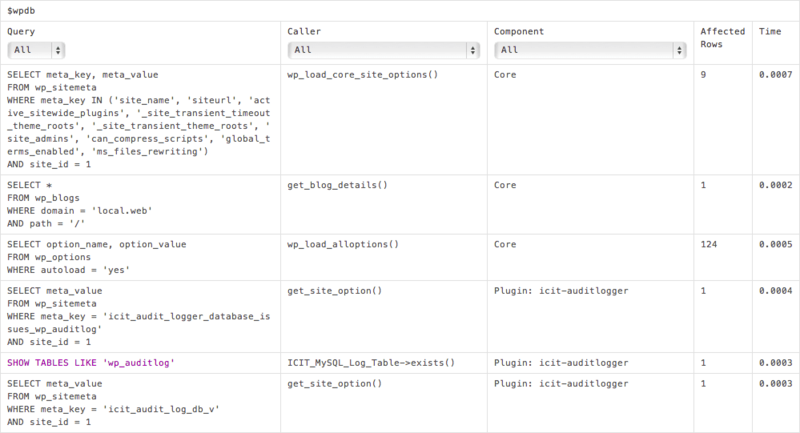 Extra columns added to the core WordPress tables could be shown also. WordPress support handbook has a guide using this plugin to troubleshoot WordPress site, You can check out the handbook here – troubleshooting using health checkup. Health Check plugin has “Troubleshoot Mode” and this mode is essential when trying to identify the cause of an issue, as in most cases, any issue you have will be introduced by your theme or one of your plugins (or maybe even multiple plugins interacting poorly with each other), Overall a good alternative to p3 plugin. Proceed with caution when you are debugging with this plugin, it can break your site. WordPress Version: This plugin checks to make sure that your site is using the latest version of WordPress. MySQL or MariaDB Version: This plugin checks to make sure that your server is using a recent version of the database software. 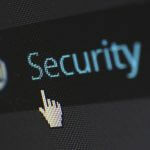 PHP Version: This plugin checks to ensure that your server is running a version of PHP that is still receiving security updates. Plugin Updates: This plugin checks to make sure all your plugins are up to date. Inactive Plugins: This will check to ensure that you do not have any inactive plugins. Admin Username: This check ensures that you do not have a user with the username of “admin” on your site. Plugins No Longer Being Supported: This plugin checks to see if you have any plugins installed that are no longer supported by the developer. Plugins With Known Vulnerabilities: This will check your plugins to see if you have a plugin installed with a known vulnerability that has not been fixed. Theme Updates: This plugin checks to make sure all of your themes are up to date. SSL: Checks to see if you have SSL on your site. File Editor: Checks if your site has disabled the file editor. Optional REST API: If you are a developer, this plugin integrates with the REST API. The endpoints can be enabled from the settings tab of the “WP Health” page in the tools menu. The plugin tests your site on WordPress Inspector, Inspect your WordPress for speed, seo, security and performance and find broken plugins and themes that affect your WordPress performance. WooCommerce, list current hooks and template arguments. As you can see massive amount of information are being displayed for you to use. You can easily find out which plugins and their scripts/styles are taking exactly the amount of time, along with execution time, memory used, I find all this very helpful. If want to really dig deep into the hooks, WordPress functions and want to find which functions doing exactly what, this is plugin would be your best bet, a very good alternative to p3 plugin. Query Monitor has some advanced features not available in other debugging plugins, including debugging of AJAX calls, REST API requests, redirects, and the ability to narrow down its output by plugin or theme. Query makes it much more easier to find out which plugins are using hooks that take more time to load. Filtering queries by component or calling function makes it easy to see which plugins, themes, or functions are making the most (or the slowest) database queries. The response from an authenticated WordPress REST API (v2 or later) request will contain various debugging information in its headers, as long as the authenticated user has permission to view Query Monitor’s output. Currently this includes PHP errors and some overview information such as memory usage, but this will be built upon in future versions. It detects some useful information regarding your site health, like the number of active transients and autoload options, and then displays them conveniently via the WordPress Dashboard. WP Healthcheck also verifies the software versions in use by your server and maintain information about software minimum requirements up to date in our systems. This allows the plugin to retrieve this information from our external API and compare versus the ones installed in your server. WP HealthCheck a very useful tool for managing the transient variables that makes my database and website slow, and also review the mess that plugins could do to your blog(s) when they become old and with a lot of data, WP HealthCheck shines in that area. Not much an P3 plugin alternative but this plugin can show you queries taking place in current page and time to load the page. Could be useful in scenarios like – You install social sharing plugin for your posts and can use this plugin to measure how many queries recently installed plugin(s) are taking. A lot of WordPress plugins developers forget performance when creating plugins. This means that a lot of them load self scripts/styles on every single post and or page of your site. This is not good, because it slows your site down. With WP Asset manager, you can choose which scripts and styles should be loaded on the page, and which ones do not. For example – With Contact Form 7 plugin, With two clicks you can disable it everywhere except for on your contact page. This plugin took useful functions of other outdated plugins like – Asset Queue Manager, WP Asset CleanUp (Page Speed Optimizer), Clearfy – disable unused features, wp disable, Disabler, Admin Tweaks and combined them into one. Using this plugin means you have asset manager on steroid. Definitely, a solid tool to debug problems and avoid future pitfalls. Not a solid P3 plugin alternative but the benefits might come handy for some cases. Does all sorts of PHP and MySQL CPU performance test with showing graph charts. Some users have found useful work cases with this plugin, such as – why website is so slow, comparing servers, CPU and responstime of the PHP and MySQL server on the current installation, perform a small benchmark to php / mysql, pin pointing database problem. If your plugin(s) is causing MySQL problem, this is the plugin to use. Make your WordPress easier, more convenient and faster. Also used useful functions from other popular plugins – We used some useful functions from plugins WP Asset CleanUp (Gonzales), bicycles by falbar, wp disable, easy updates manager, Disabler, Admin Bar Disabler, Cerber Security & Antispam, Admin Tweaks, Autoptimize, Fast Velocity Minify, Minify HTML, Hummingbird Page Speed Optimization, WP Super Minify. 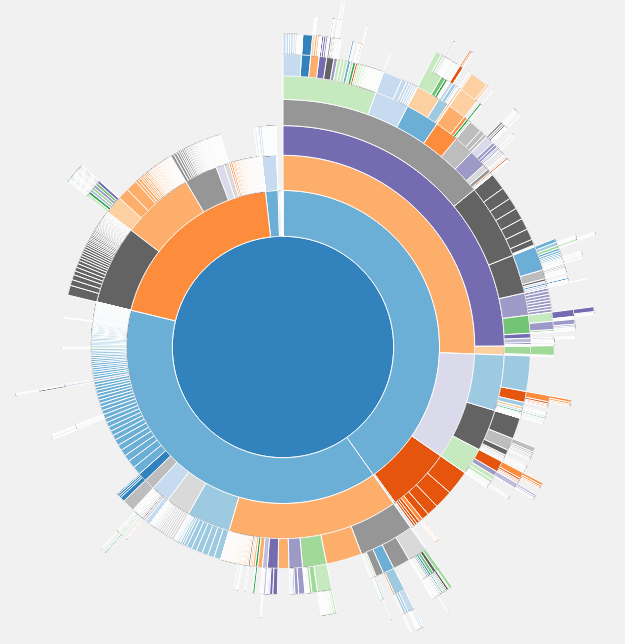 Shows all files in your WordPress in a SunBurst pie chart. You can find the chart in Tools -> Disk Usage, It shows all files (core/themes/plugins/database) of your WordPress installation at once. Each arc of the chart is either a directory or a file. Move your mouse over an arc to see the size of the file or directory. The bigger the arc is the bigger is the file/directory. Very handy to determine the biggest files in your WordPress installation. Click on an arc to zoom in, and click in the circle to zoom out again. We’ve all been there – something’s broken on your site. You’ve looked around the web for advice about what to do and have stumbled across the typical wisdom – deactivate all your plugins and then re-activate them one-by-one, checking your site for the problem after each reactivation. Sure, it works. But who has time for that? Plugin Detective helps you troubleshoot issues on your site quickly and easily to find the cause of a problem. Once the culprit is found, the problem plugin can be quickly deactivated. You can even fix your site when it has the white screen of death (fatal error). You’ll want to have Plugin Detective installed, so if your site crashes from a conflict or bad plugin update, you can get it back up and running quickly! We hope you find this list of plugins useful, each of these plugins has something to offer as an alternative to P3 plugin, and I believe you can now find WordPress plugin performance more easily. Did we miss any plugins? Do you have any recommendation ? Feel free to let comment and let everyone know. Since WordPress (and P3) are open sourced it shouldn’t be an issue for others to hop in and help out with the development (assuming what you say is true, about how much people love it). Thank you for your comment. We’ve edited the article and added support thread links. When W3 Total Cache had vulnerability issues other developers forked it from the Github and patched the issue, We are hoping something similar would happen in this case. But, since Godaddy acquired it there’s low possibility someone else forking it, may be Godaddy have other plan. why are you recommending pluggins that are have also not been updated for more than 2 years??? Great article, however still none of the suggestions really provide the fundamental functionality; to very simply show what plugin is using how much resources for different pages. What is the best for actually determining which plugin is the problem when pages on front end and back end are running really slow? Hi Marcus, It is difficult to find the exact functionalities of P3 plugin but a combination of these plugins can help you find out the slow plugins.